It has been a few months since the last Middie Monday (#16 was published in October) – have you missed it? 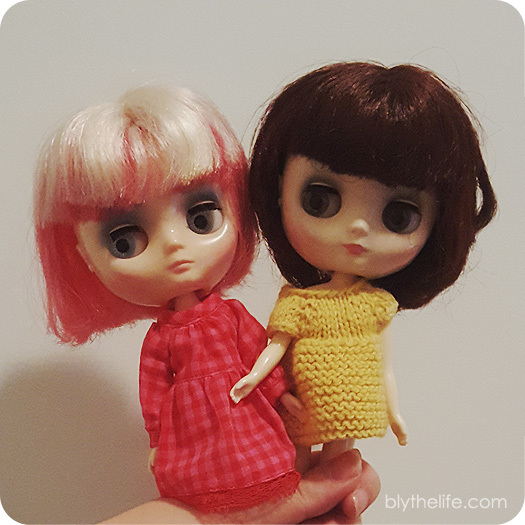 I still have just the two – Kitty Brighton (Jackie Ramone) and Lydia Melbourne (Yellow Marshmallow). 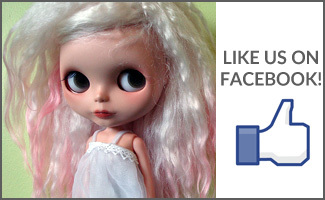 Sometimes I muse with the idea of getting a third Middie Blythe (because everything is better in threes? ), but then I stop myself. 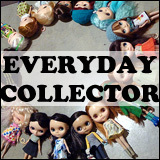 I can barely clothe and shoe the two Middie Blythes that I do have. And I’m still operating that ridiculous challenge to myself that I’ll make the majority of their clothes by myself. Which is fantastic, because it means I can stop myself from shopping for them because I’m not allowed to buy new things. Yet on the other hand, it means that they don’t have a lot of clothes because I may just be physically incapable of setting aside time to sit down and sew or knit or crochet for them. That and I am the queen of making excuses for why they don’t have a larger wardrobe at this point. I’m pretty sure that since I got Kitty that I’ve made myself goals of crafting for her/them once a month, once every two months, etc. And those goals have not come to fruition. Sometimes I wonder why I bother with this goal. Maybe because I’ve so publicly declared that it’s a challenge, or just for the fun of it. That and I really don’t bring them to meets that often, so it almost seems “okay” that they don’t have very many clothes to choose from because nobody is going to see them anyways. In the mean time, these two lovelies have been in the same outfits for at least as long since I moved (back in July…) and much longer than that. But I’m currently working on something new – so that’s something, right? Do you have any Middies? Have you made any clothes for them or do you buy them? It’s October! Which means it’s definitely autumn now, at least where I’m living. It’s getting cooler, the sun rises a little later in the morning and sets earlier in the day – which means when I work I just never see the sun at all (the curses of working 12 hour shifts!). That said, I haven’t really done much with my Middies since the big move. I haven’t really done much with any of my dolls since the big move. I’m kind of terribly neglectful like that. No big plans for the Middie portion of my doll family, although the ‘goal’ is to still craft their clothing myself – which has also fallen by the wayside with work and everything else going on lately. I’m not sure when I’m going to relax that goal/rule for myself, because it’s getting a wee bit ridiculous on some levels. With that in mind, I wanted to change both of them because I figured they might as well get a little outfit change. 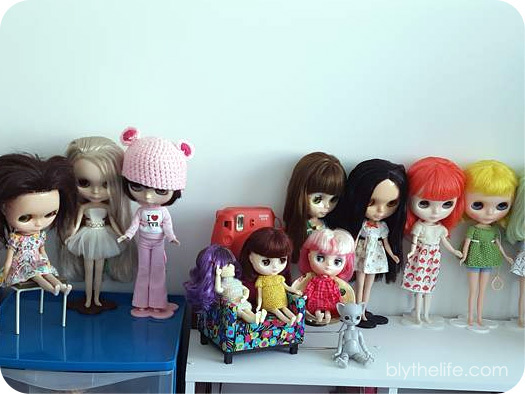 It’s easier for me to change the Middies than it is the bigger Blythes because there’s only two of them. Strength in lower numbers, I suppose? The big problem I had is that I am not finished with the unpacking of all my things and I genuinely do not know where I had stashed all the Middie clothes (back in June or July). Whoops. 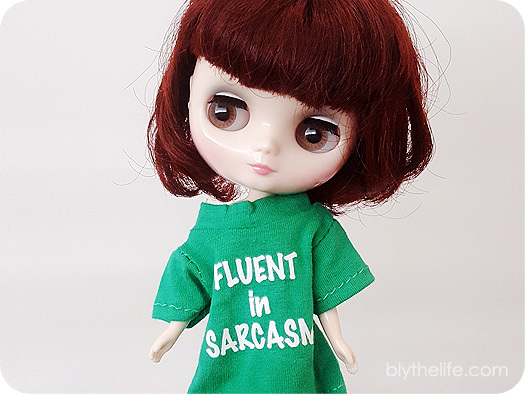 I’ve noticed that in general that Middies are less customized or sought after compared to Neo-sized Blythe, but I do believe this is because they’re less coveted despite the adorableness. 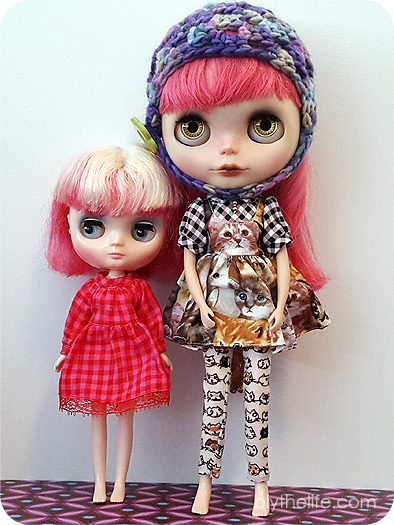 Middie are definitely more pocket and purse-friendly (although not as pocket-friendly as Petite Blythe! 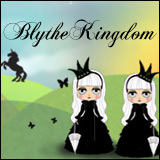 ), I find that they are less expensive compared to Neo-sized Blythe. 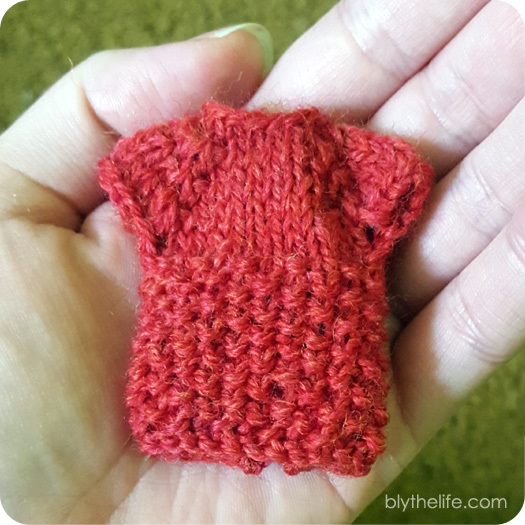 There are more clothing patterns for Neo-sized Blythe, so there is a market for anyone who wants to design or create clothing for Middies.